The end of summer and early fall is a great time to acquire new technology. This is the time when companies are releasing new products, so potential customers have the option to purchase full-price, brand new goods or take advantage of price-cuts on previous generation devices. Additionally, technology is often marked down in price due to the upcoming school year. 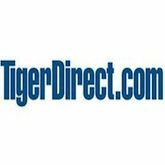 This is a great time to save, and Tiger Direct is jumping on the bandwagon with their September Super Sales Event. The sale offers a variety of items for purchase, from notebooks and desktops to TVs to hard drives and more. Tiger Direct has a number of laptop and desktop computers available for purchase at highly discounted prices. The Dell Inspiron Notebook PC boasts 4GB of ram, an Intel Core i3 processor and a 500 gb hard drive for just $399.99 after rebate. The (refurbished) Asus 15.6″ laptop is another great deal, boasting Windows 7 Home Premium, 4 GB of ram, a 320 GB hard drive and much more for just $299.99. There are a variety of other laptops and desktops also available at similarly steep discounts. The fall is always a great time to buy discounted storage devices, evidenced by the Tiger Direct sale. Pick up one of many discound Solid State Drives (SSD), like the Intel 520 Series 240 GB SSD for $214.99 or the OCZ 120 GB Vertex 3 SSD for $69.99. Portable hard drives are also a great buy, like the Toshiba Canvio Basics 1TB HDD for just $79.99. Computers and hard drives aren’t all this September sale has to offer. LED TVs are marked down by hundreds of dollars. Blu-ray players from companies like Samsung are marked down by $60 or more. Even software is available, like Nuance Dragon speech recognition software, available for just $39.99. For a variety of steeply discounted technological products, Tiger Direct’s September sale is a great place to look.